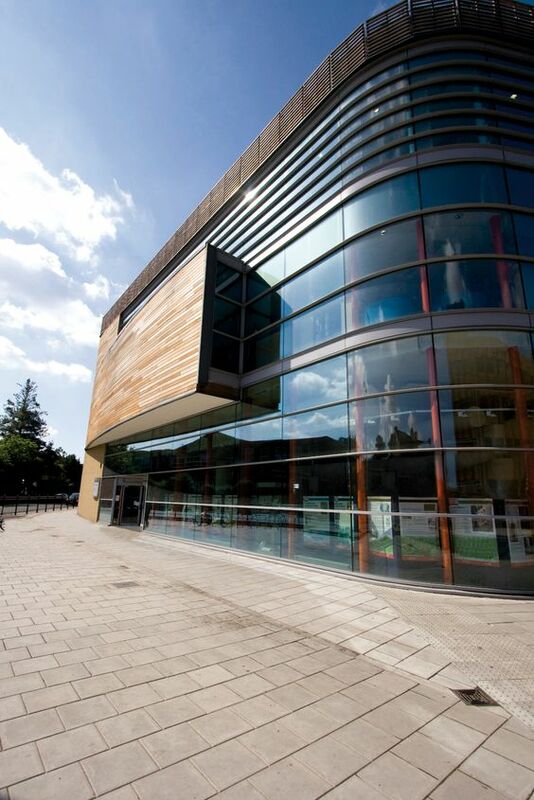 Have you ever wondered why The Dugdale Centre is so named? Perhaps you have been to the theatre there and questioned why the building was called Thomas Hardy House. Edward Dugdale came to Enfield in 1875 as the new headmaster to St Andrews School. He was 23 and stayed headmaster for 47 years. When Matthew Arnold visited the school he described it as “created by and for people who knew their place”. Dugdale was a staunch churchman and conservative. He helped found The Enfield Constitutional Club and was on the committee of The Enfield Temperance Society and compelled all senior boys at St Andrews to attend anti drinking meetings. At home and school he was a strict disciplinarian and used used stick and strap at St Andrews. Edward Dugdale founded The Enfield Building Society in 1880. Enough to have a cultural centre named after him? I think not. The position at St Andrews carried a salary of £120.00 a year sufficient for him to marry. His bride was Emma Taylor who worked as a governess to Gwendoline Somerset at Enfield Court. Edward and Emma had four daughters. The 2nd was christened Florence after Miss Nightingale. At five years Florence started at St Andrews . She only left 24 years later when she quit teaching. Florence attended the Enfield Literary Union at The Bycullah Athenaeum and in 1901 was invited to deliver a paper there on “Legends of Arthur” She was also writing a children’s column in The Enfield Observer with Alfred Henry Hyatt. In 1906 Hyatt received permission from Thomas Hardy to publish an anthology of his selected writings and poetry. Florence helped Hyatt with editing and research and used his ticket for the reading room at The British Museum. It must have been here that Hardy and Dugdale met and despite the age difference, she was now 28 Hardy 67 (older than her father) ,there was a mutual infatuation. Hardy sent her books, arranged for her to obtain a job at The Cornhill Magazine. He even got her work published (albeit heavily edited by Hardy). Florence even met the current Mrs Hardy at The Lyceum Club and they struck up a friendship notwithstanding the fact that Florence was having some sort of relationship with her husband. Emma Hardy died in 1912 and Florence became his live in secretary for the next 18 months. On 29th January 1914 Hardy visited the Dugdale home in Enfield and was seen in church sharing the family pew. On Tuesday 10th February at 8am the couple were married in St Andrews. No one was invited. Edward Dugdale was back at school at 10.45am and Florence didn’t change her clothes before boarding a train from Enfield Town soon after. These are the only two known occasions that Hardy visited Enfield. The facts imply that Edward Dugdale was not best pleased with his daughters choice of husband. The marriage was not happy. Hardy was mean, unloving and controlling. When he died Florence was at last given the freedom to live the life she had always dreamed of. A flat in London and a social circle. She also carried out social work in Wessex that won her the affection of the people of Dorset. An appreciation that Hardy never achieved. So this unhappy relationship inspired one of our Councillors to name our new cultural hub after Hardy and Dugdale. Not one of the best decisions in my book.